FYROM’s Prime Minister Zoran Zaev and his government are under pressure by opposition VMRO DPMNE party and the President of the country not to accept o compromised solution worked by Foreign Ministers Kotzias and Dimitrov and brokered by UN mediator Matthew Nimetz to solve the long dispute with Greece over the country’s name that keeps them from joining the Euroatlantic institutions. Thousands of supporters of VMRO DPMNE protested on Saturday against Government politics and over compromise solution. The possibility of a resolution on the FYROM name issue has become remote, a Greek government official said on Friday, speaking on progress in the negotiations between Greece and its northern neighbor. 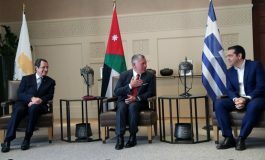 “The FYROM side does not appear ready to fulfill what was agreed upon by the two foreign ministers in Brussels,” he said. “Therefore, the possibility of an agreement within the next few days appears to have become more remote. The communication between the two countries’ prime ministers by telephone also appears more remote,” he noted. On Wednesday, Zaev said a deal was very close and indicated that an agreement would have to be ratified by FYROM’s Parliament before a referendum. Athens and Skopje appeared to be edging towards a solution and reports indicated on Thursday that the Republic of Northern Macedonia (Severna Makedonija) is the likeliest settlement. Another two names, of the original five proposals made by United Nations mediator Matthew Nimetz, remain on the table, sources said. But Northern Macedonia is expected to prevail. As the two foreign ministers concluded their talks, Greek Prime Minister Alexis Tsipras was expected to speak with his counterpart from the Former Yugoslav Republic of Macedonia, Zoran Zaev, by telephone with the prospect the two men to meet in the coming days, and certainly before a European Union leaders’ summit on June 28. Last Monday, Foreign Minister Nikos Kotzias said he and his opposite number in FYROM, Nikola Dimitrov, had concluded talks and that the premiers were to discuss the draft agreement following final talks on legal and technical issues. Prime Minister Zoran Zaev on Saturday expressed AGAIN optimism for a potential deal on the long-standing name dispute between Athens and Skopje amid technical-level discussions. Zaev said he was “optimistic” but that certain “technical details” remain to be settled, adding that he would telephone his Greek counterpart Alexis Tsipras when those issues have been resolved. 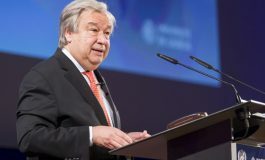 He said he hoped a deal could be reached by late June, adding that the two sides have agreed to sign any agreement in Prespes, northern Greece, near Lake Prespa, which is shared by Greece and FYROM as well as Albania. The US once again expressed its support for the ongoing negotiations to resolve the issue of FYROM’s name, in a U.S. State Department announcement on Friday. The resolution of the issue will contribute to Euro-Atlantic integration, as well as the consolidation of prosperity, peace and security in the wider region, said the announcement. In comments made Saturday, Interior Minister Panos Skourletis said the government was handling the issue “responsibly,” adding that conditions were ripe for a solution. Also on Saturday, Archbishop Ieronymos said “we are not giving our name to anyone,” adding however that the matter was a concern for Parliament, not the Church. Meanwhile, in a move of significant symbolism, FYROM’s schismastic Orthodox Christian church has appealed to join the ranks of the Ecumenical Patriarchate. The request came with a letter from Zaev addressed to Ecumenical Patriarch Vartholomaios. The move is seen as significant as it comes in the wake of reactions from the Ecumenical Patriarchate to a request last November from the FYROM church to join the Church of Bulgaria, which supported the claim. “The mother church of all Balkan nations is that of Constantinople,” Vartholomaios said. 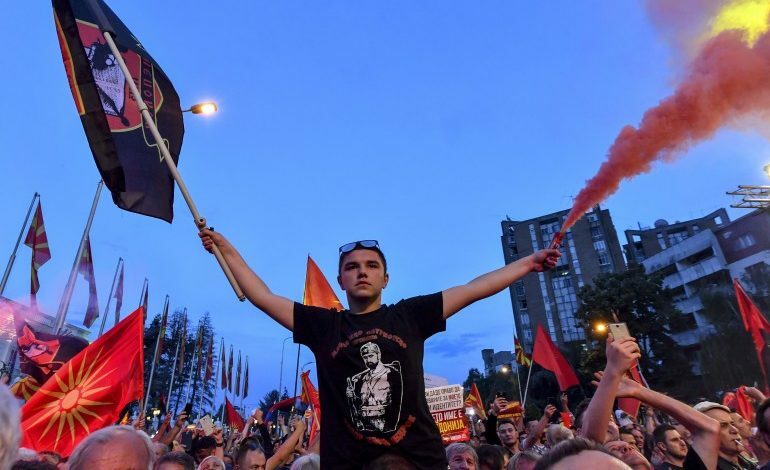 Meanwhile, the organizers of two large demonstrations against the use of the term Macedonia by FYROM earlier this year announced on Thursday that more rallies will be held next Wednesday in 13 cities across the region of Macedonia. Addressing a press conference in Athens, a member of the organizing committee, Michalis Patsikas, said another rally will be held in Athens on the day that a solution containing the word Macedonia comes to Greece’s Parliament. He called on protesters to bring Greek flags to the demonstrations but stressed that “extremist individuals and behaviors” are not welcome. The rallies next Wednesday are planned for Pella, Kavala, Drama, Serres, Kilkis, Polykastro, Lagada, Nea Moudania, Edessa, Florina, Kastoria, Ptolemaida and Katerini. Any effort to rush to conclusions about the negotiations over the FYROM name issue is premature, Alternate National Defence Minister Fotis Kouvelis said on Friday. There are political and social balances in Parliament that can deliver a very large majority when the agreement on the FYROM name issue comes to a vote but nothing has been agreed at this time, government spokesman Dimitris Tzanakopoulos said on Friday in an interview with “E” TV. The government spokesman also stressed that main opposition New Democracy (ND) leader Kyriakos Mitsotakis should have adopted a clear position in favor of a solution, based on the conditions that the country has set. He reiterated that “until everything has been agreed, nothing has been agreed” and stressed, once again, that the conditions for finding a solution are that the name agreed should be used ‘erga omnes’ – meaning, in relation to everyone – and that FYROM revise its constitution. 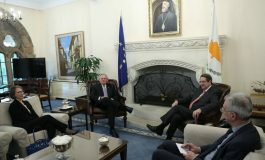 The Greek government has done all it can towards a nationally beneficial agreement with FYROM on the name issue and is very close to a resolution, Alternate Foreign Minister George Katrougalos told Kontra TV on Thursday. Katrougalos added that every care had been taken in writing so that no concession is made without an equivalent one from the neighboring country. The minister also expressed the belief that the ratification of an agreement on the issue would gain wide support in the Greek Parliament and asserted there would be no problem to the ruling coalition if its junior partner, Independent Greeks (ANEL) and its leader Panos Kammenos, voted against such an agreement on principle.